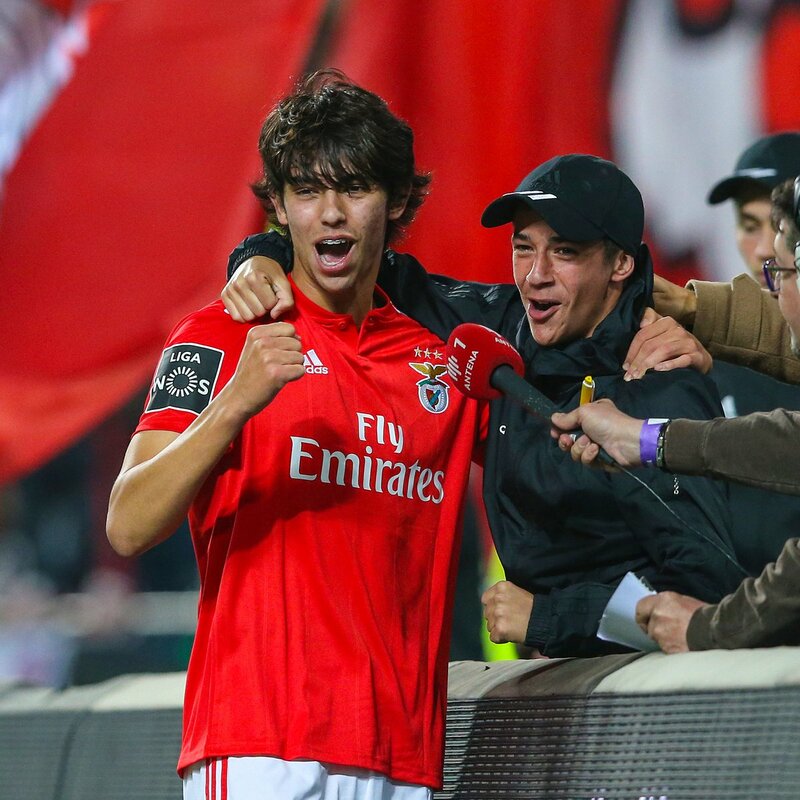 This is the heartwarming moment Benfica star Joao Felix celebrated scoring against Setubal with his younger brother who was standing behind the goal as a ballboy. The 19-year-old followed on from his hat-trick in the Europa League quarter-finals against Frankfurt, by assisting two and notching another strike at the Estadio da Luz. While the impressive feat earned the midfielder the accolade of the youngest in the competition history to earn the match ball, his latest effort was even more special. The Manchester United target latched onto the end of a cross from team-mate Pizzi to rifle the ball into the top corner before seeking out his younger sibling Hugo. The 16-year-old, who is part of Benfica’s academy, was stationed behind the same net his brother scored in as part of the club’s ballboy duties. The two Felix’s immediately embraced in a heartwarming moment before the rest of the home side’s players joined in the exuberant celebrations. 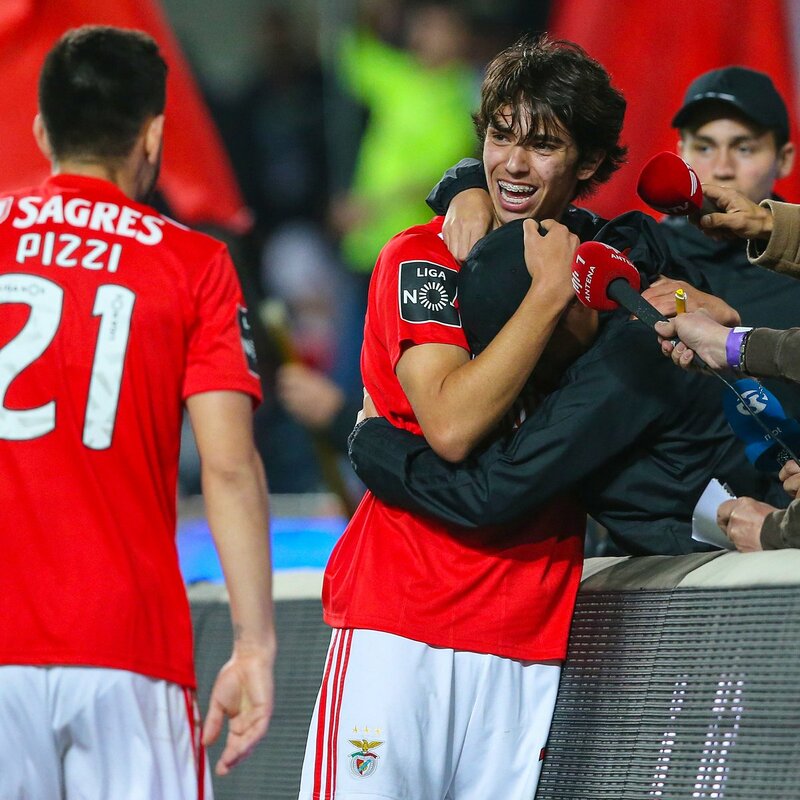 Joao Felix recently revealed how close he is to Hugo, outlining their bond together with both of them growing up with aspirations of becoming footballers. He wrote in the Players Tribune: “I was going to miss playing football with my brother in the kitchen in our home in Viseu. His goal helped steer Benfica back to the top of the league after the 4-2 victory with Felix recently admitting his new-found fame has also helped him off-the-field. The Portuguese star’s remarkable form throughout the campaign has seen top clubs across declare their interest in a summer switch. And while the youngster is getting used to scouts watching him perform, he also revealed a different side to being thrust into the limelight.